AdDuplex has recently supplied an early look at their final Windows Phone market data for 2013, giving the public a good look at the key statistics of Microsoft's smartphone platform's OEM and device makeup. 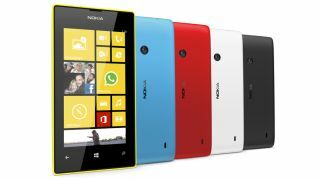 The figures show, as they have all year, that Nokia continues to control the lion's share of Windows Phone hardware. The company has ended the month up a few points at 92.1 per cent (as a calculation of usage share, performed by AdDuplex). As well as this, the Lumia 520 handset continues to dominate others in its family, with a new high of 39.3 per cent market share. Moreover, Windows Phone 8 grew against the now-fading Windows 7 system, recording a share of 78.3 per cent. In layman's terms, Nokia won Windows Phone's 2013, using the Lumia 520 as its weapon of choice. Paul Thurrott, co-host of Windows Weekly, said: "Worldwide, only the Lumia 920 makes the top 10 list for usage among all Windows Phone handsets, and if you look just at Windows Phone 8 handsets, only two high-end devices make the list: The Lumia 920 and the 925. In the US, there are three: The Lumia 920, 928, and 1020. All the rest are new low-end devices or old devices. The Lumia 1520 doesn't appear anywhere in this report." This means that the sales momentum boasted by Windows Phone comes at the cost of per-unit revenue. Margin pressure increases at lower price points. Indeed, the list of sacrifices that had to be made to produce the Lumia 520 were not small. As we enter 2014, and a year which could see more entrants into the Windows Phone marker, it's important to note that rising unit volume has come at a cost to Nokia. The Lumia 1020 is a hit among a selection of the technology elite, but not many others. It begs the question of whether a company can build a mobile empire on low-end phones alone.